Ultra Fine Flair: Merry Christmas! kitty + ribbon = GTs!! merry christmas, gillian!! hello cutie! 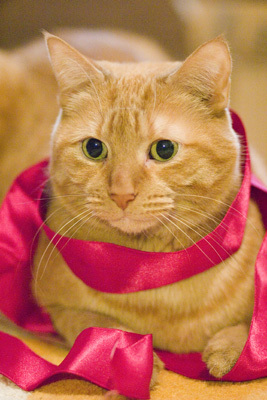 looks like someone is having fun with the ribbon.